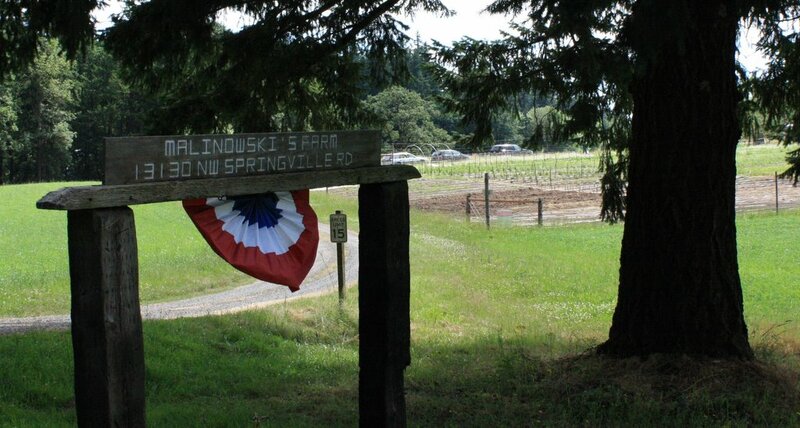 Malinowski Farm is located north of Beaverton, at the base of the west slope of the West Hills. We have been in the same family since the 1940s, and grow organic Certified Cattle, Chicken Eggs, Chickens, and Hay. We sell product direct from our farm and at some Farmers Markets. You can now place orders online and pick up at either our farm or at the Cedar Mill Farmers Market. We are at the Cedar Mill farmers market on Saturdays in the Summer 8am – 1pm. We also rent ground to start-up Organic Market Gardeners. I am interested in renting some land from you for the 2014 season. What is available? I am ideally looking for 1 acre of land and simple facilities…greenhouse space?? Also, what equipment is available/included for use? I understand that you are at the Cedar Mill Farmer’s Market- do you bring a full range of organic produce? Hi, I left you a phone message a few weeks ago but wonder if it got lost in holiday rush….. Would love to get some beef from you, what do you currently have? Also at market this last summer Greg told me you have out of date frozen organ meat you would sell me half price for my dog food. Still have? What day(s) this week will you be around? Time? My name is Erik and I am a 25 year old who moved out to Portland about 5 months ago. I am in-between jobs currently and won’t be starting my next job for a few weeks. I was wondering if you guys accepted volunteers to help out. I’m not even sure if you guys are in season at the moment. I really do not have too much experience, but am willing to learn. I lived on an off the grid permaculture garden/farm in Georgia (through WWOOF) for a few weeks and loved it! I really like being outside and getting my hands dirty. So as for what I’m willing to help with, pretty much anything. I am fairly free these days and would be willing to continue helping out once work starts (maybe on the weekends?). Get back to me if you have any questions. I look forward to hearing back. What do you have for sale now? Can i just drop by your farm and purchase? 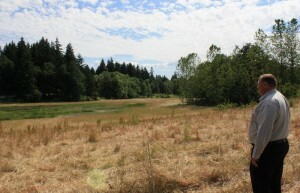 I am interested in leasing a small portion of land to grow organic fruits and vegetables. Would it be possible for me to come out there (again) and meet with you!